Whatsapp is one of the best instant messaging apps. It has a broad network all around the world, especially with Asian countries like India and Philipines, where people do often use WhatsApp instead of facebook. The features of interaction with your friends, family, and colleagues in an instant way make it more useful. More like facebook but smoother and more instant than Facebook. It also gives you the option to chat in groups Or you can make a group urself of similar interest or similarity workplace peoples. If you are new to WhatsApp or you just switched from other instant messaging apps to WhatsApp then you may find difficult to manage WhatsApp group you made, or it may happen that you make more than one groups of similar name. On such cases, you need to delete those extra WhatsApp groups. Deleting a group in WhatsApp is no such tough task but since you are new to WhatsApp so you don’t wanna take risk! 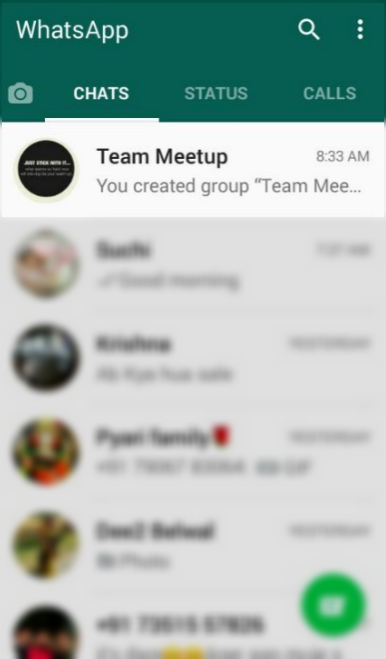 After that, Choose the group you wanted to delete, Tap and Open that group. Select the three dots from top right corner. It will open the list of options, choose Group info. Scroll down to the bottom of the screen and Click on Exit group. 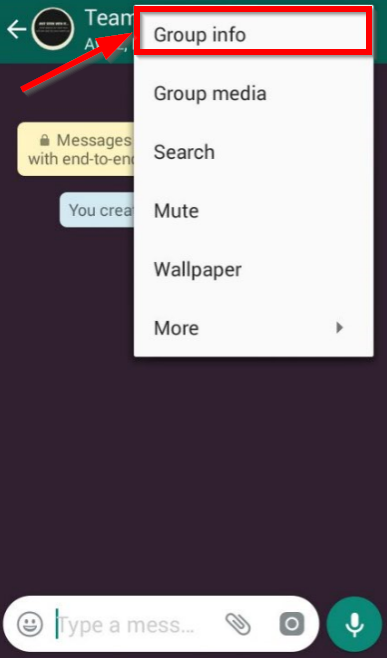 It will give you three Options, “MUTE INSTEAD”, “CANCEL”, “EXIT”, Click on EXIT. 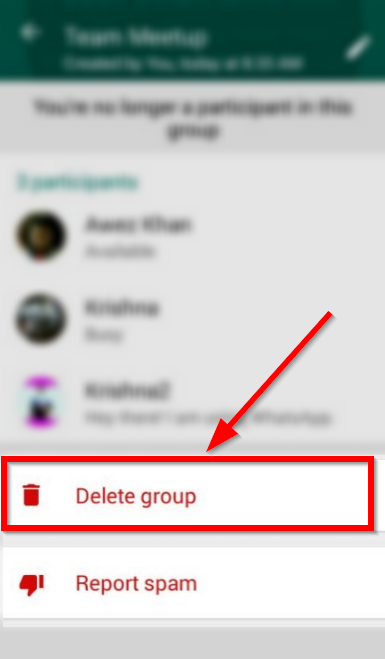 It will remove you from the group and now you can see the Option of Delete group. Click on Delete group, it will ask you to confirm that, click DELETE and the group will be Deleted. 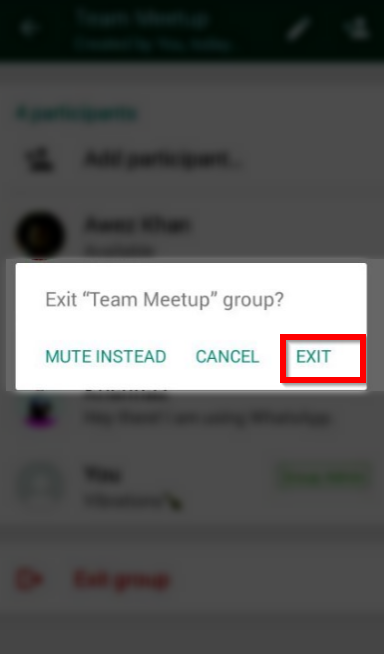 This is the only way to delete WhatsApp group in an easy way. If you are not an administrator of a chosen group then you will not see such Delete option after going through the above steps. Later On Steps: If you are just a member of that group and no secondary/none of administrator, For that time what this process can do is only remove you from the group chat and you can not send or you will not receive any new messages from other members of that WhatsApp group. The only way to access WhatsApp chat that time is when the admin of that group will add you again. 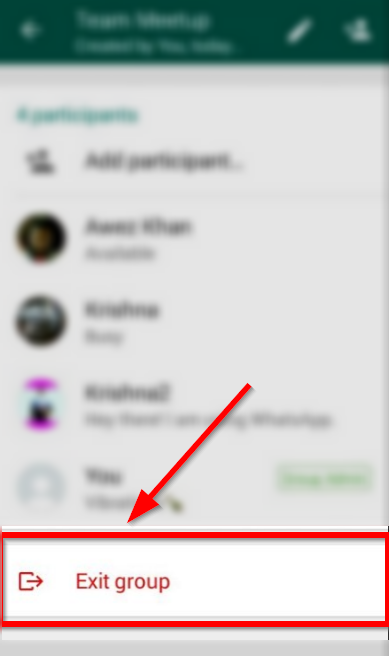 And another thing you can do if you are no more a member of that group is, you can delete the previous chats of that group by taping and choosing the delete conversation option. Deleting the chat will not affect any other member of that group, they all of them will have their previous chats but the action will be made on your side only. This info will be helpful in that case if you are not a member of a WhatsApp group and still think to delete a group in WhatsApp.